"I want you to panic," Thurnberg told members of the parliament's environment committee. "I want you to act as if the house was on fire." She stressed that by 2030 - "10 years, 259 days and 10 hours away from now" - the world may face an irreversible chain reaction in its climate, leading to disruptions in our ecosystem that will change civilisation as we know it. "These calculations are not opinions or wild guesses," said Thurnberg. "These projections are backed up by scientific facts, concluded by all nations through the IPCC." 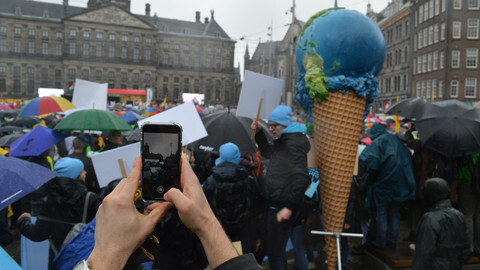 The IPCC is the United Nations' International Panel on Climate Change, whose report on pathways to no more than 1.5C global warming made waves across the world last October. The Swedish activist, who began skipping school to draw attention to the need for more climate action last year, spoke emotionally about the increasing number of species becoming extinct and about deforestation. "If our house was falling apart, you wouldn't fly around the world in business class chatting about how the market will solve everything with clever small solutions for specific isolated problems," she said. "You wouldn't talk about buying and building your way out of a crisis that has been created by buying and building things." "If our house was falling apart, you wouldn't hold three emergency Brexit summits and no emergency summit regarding the breakdown of the climate and environment," she said, in a sentence that was then drowned out by applause. "Well, our house is falling apart," she said. "Everyone and everything needs to change, so why waste precious time arguing about what and who needs to change first … The bigger you carbon footprint, the bigger your moral duty," she added. Thurnberg referred to the upcoming elections for the EU parliament, to be held in the bloc next month. As a 16-year old, she is under the legal voting age in Sweden. "You need to listen to us, we who cannot vote," she said. "I beg you please do not fail on this," said the girl, whose speech was met with a standing ovation. Following her address, representatives from each political group gave a short response. All of them thanked and praised her - but it should be noted that the speakers were not fully representative of their political groups. The European Conservatives and Reformist (ECR) group for example had sent Belgian MEP Mark Demesmaeker, whose party often votes with the more ambitious MEPs of the parliament. Most other ECR parties normally weaken climate bills, out of fear that they would hurt jobs. From the Europe of Freedom and Direct Democracy (EFDD) group, it was a member of the Five Star Movement, which has a strong ecological focus. But the group's other big party, Ukip, counts climate-deniers among its ranks. 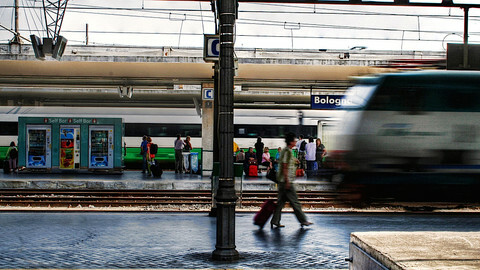 Peter Liese, a German member of the European People's Party (EPP), said that the aviation sector should be taxed more to undo the unfair competition that the railway sector is facing. 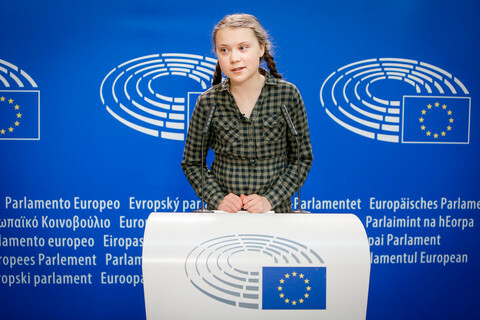 But Liese was also heckled for saying that the young climate activists that have taken to the streets recently should perhaps have done so outside school hours. 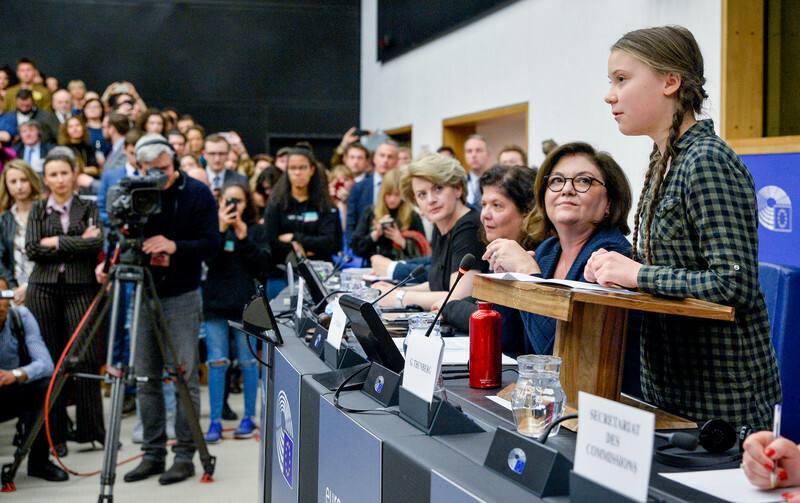 In that spirit, the parliament's centre-right and right-wing groups last month prevented Thunberg from speaking in the parliament's plenary. 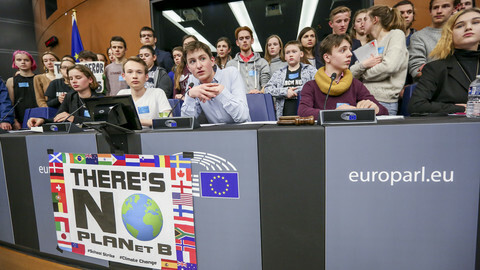 Also last month, Liese had said his group was critical of changing the EU's greenhouse gas emissions target for 2030 from 40 percent to 55 percent, because the EU had just adopted the bills required to achieve the 40 percent target. 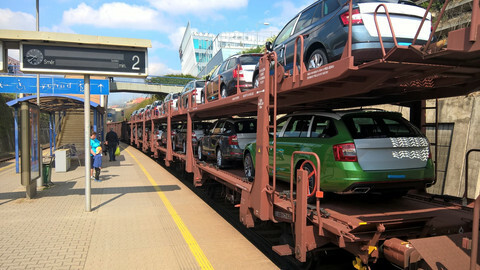 A EPP spokesman at the time said that the request for a more ambitious greenhouse gas reduction target was "unrealistic" and part of a left-wing "propaganda" effort. 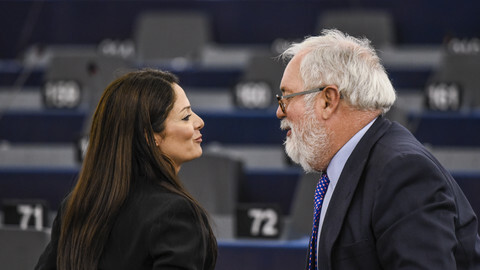 Centre-left Maltese MEP Miriam Dalli, from the Socialists & Democrats, said that when it came to adopting specific legislation, ambition levels were often reduced because of vested interests - as a negotiator for new rules on CO2 reduction for cars and vans, she experienced first-hand the pressure from lobbyists. Green MEP Bas Eickhout, from the Netherlands, called on his colleagues to remember their commitments when they come back after the elections to vote for a new president for the European Commission, the EU's executive. Romanian secretary of state Melania-Gabriela Ciot was also at the debate in Strasbourg, representing the Council of the EU, which Romania is currently president of. Eickhout asked Ciot to commit that during a special EU summit in the Romanian city Sibiu next month, the EU would commit to new, more stringent CO2 reduction targets. But Ciot ignored that request in her reply, focusing instead on what has been done already. 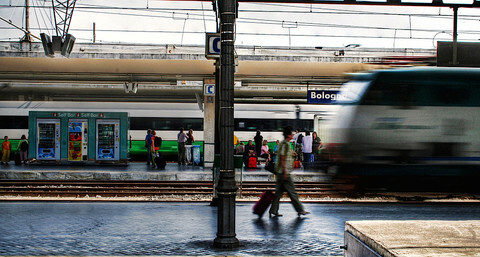 Ciot did say a commission strategy paper on how to get to a climate-neutral EU by 2050 had been "actively debated", and that EU member states were aware of the urgency of the climate crisis. "Action to prevent irreversible and catastrophic climate disruption remains insufficient," she said. EU climate commissioner Miguel Arias Canete also said Thurnberg's message was "very clear". "You want us to act, and rightly so. By the time your generation will be in driving seat, in politics, in public service, in business and elsewhere, it will be too late to stop climate change," he acknowledged. 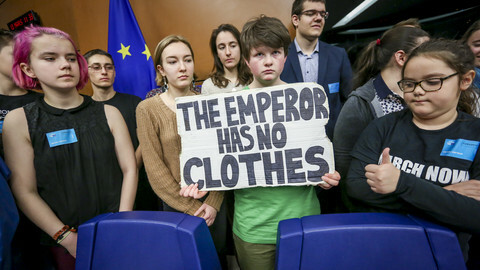 Young climate activists plan to continue protesting, and to hold a big rally on 24 May - while EU elections will take place across the bloc from 23 until 26 May.